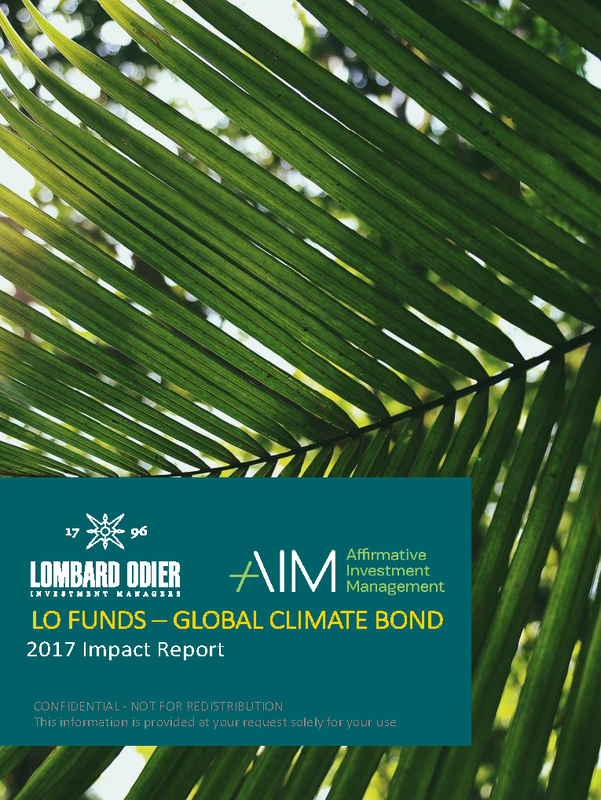 Affirmative Investment Management (AIM), release the first annual impact report for the LO Funds – Global Climate Bond. The report details over 1,000 projects and initiatives over 92 countries that were fully or partially supported by the impact bonds the Fund invests in. AIM surveyed impact bond issuers to collect data on their disbursements, to determine impact indicators across the portfolio. The new Carbon Yield Insights Report summarizes AIM’s experience with ISS-climate in applying the Carbon Yield and five key findings, over a broad range of issuers – from European corporations to multinational development banks – and more importantly, a broad range of funded activities across a breadth of geographies.